This established resort is now under the management of The Lodge Group. 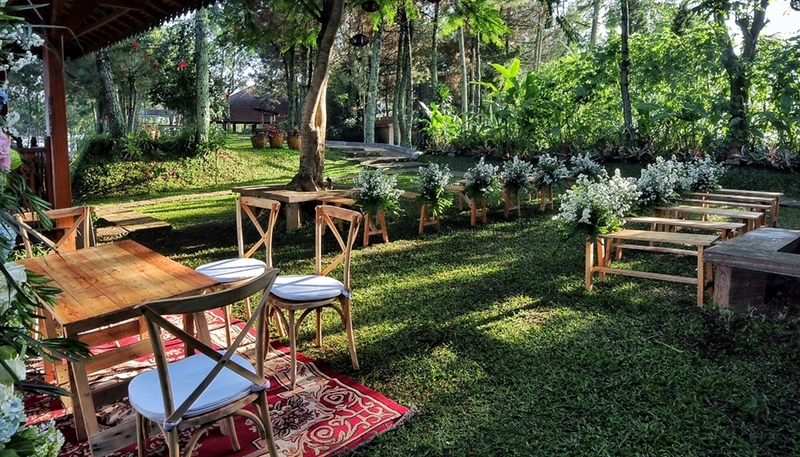 Mulberry Hill by The Lodge covers an area of more than 10 hectares, on and around a beautifully shaped and part-wooded ridge in Cibodas, less that 1km from The Lodge itself. 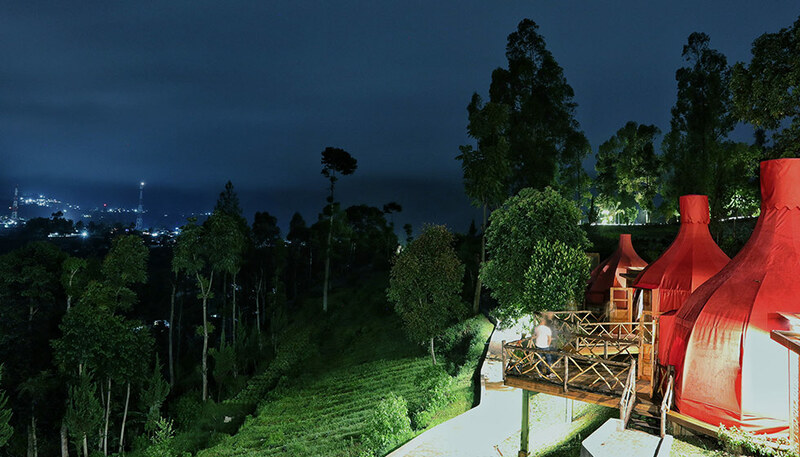 Mulberry Hill by The Lodge provides sweeping 360° panoramic views from multiple places along the ridge, the crest of which is well above the surrounding Cibodas region. Gunung Bukit Tunggul, the highest peak in the mountain chain north of Bandung, towers up 4 kilometres to the East, while to the West lie the more distant ridges of Gunung Burangrang and the famous volcano Tangkuban Perahu. Closer,the high ridge which marks the Lembang Fault is clearly visible from Gunung Batu in the West to Gunung Palasari to the Southeast. On the clearest days, the massif of Gunung Gede & Pangrango are visible 80km to the West. Mulberry Hill by The Lodge is landscaped with lawns and thoughtfully planted belts of trees which form a pleasing foreground to the wonderful long views beyond. Mulberry Hill by The Lodge is a residential resort for those who are willing to stay for a day or two. There is a choice of accommodation: a large villa, with several bedrooms, large open spaces and landscaped gardens is a good choice for a large family group or party. Nearby is Mulberry Village – a group of 8 semi-detached bungalows in a secluded and private garden area. Each bungalow has a large bedroom, a large bathroom and a garden terrace. The bungalows all enjoy a view of the common shared garden and its scenic backdrop of trees and hillside. Bungalows may be rented singly or you can rent a pair – adjacent rooms have connecting double doors. 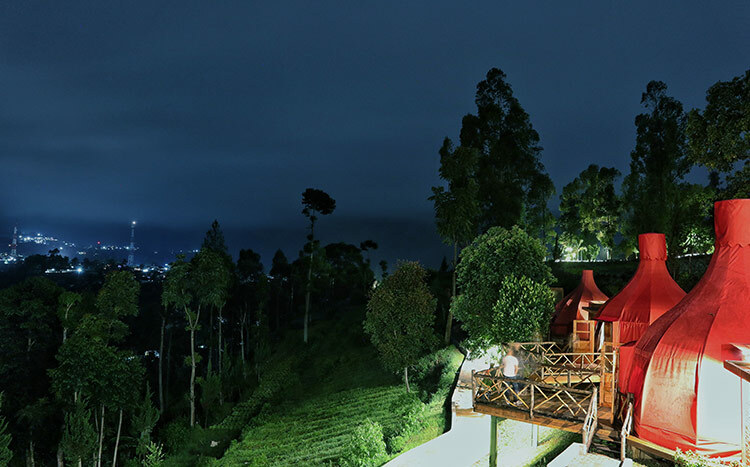 On the ridge itself, the new restaurant will be built around a large joglo which has been transported from Java. This building will include art spaces, and will be open for dining to residents and non-residents. Further along the ridge are areas for touring tents, and another area where permanent tents are available for rent, equipped with mattresses, electric light and power, bedding and towels, all to provide the camping experience for those without their own equipment. 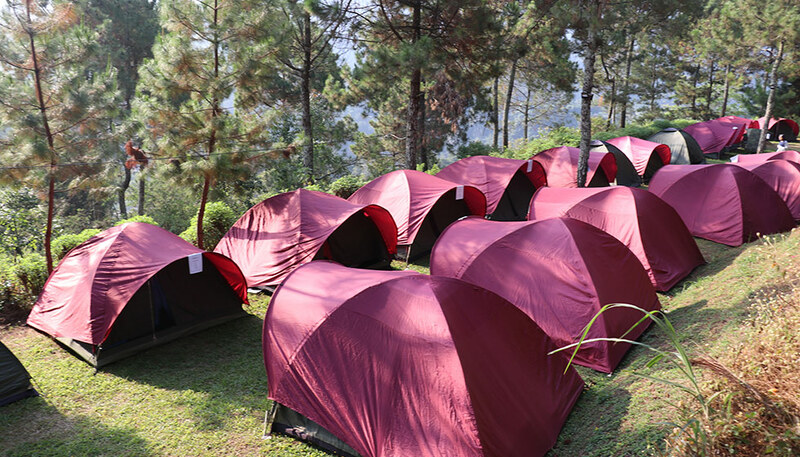 We introduce you our brand new facility, 10 tents of glamping surrounded by beautiful scenery of mountains and Bandung city view. Enjoy watching sunrise from each balcony with your beloved one. Mulberry Hill has two types of Villa as your preference. 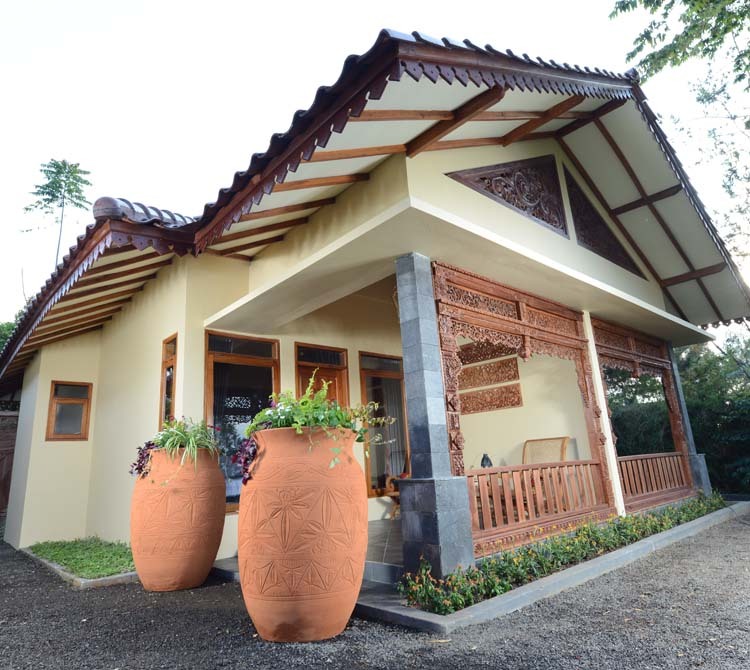 Villa Gede with maximum capacity 40 persons and Villa Kaca with maximum capacity 30 persons. Both have stunning scenery of Tangkuban Perahu. Completed with Meeting Room, Karaoke Room also outdoor fish pool. 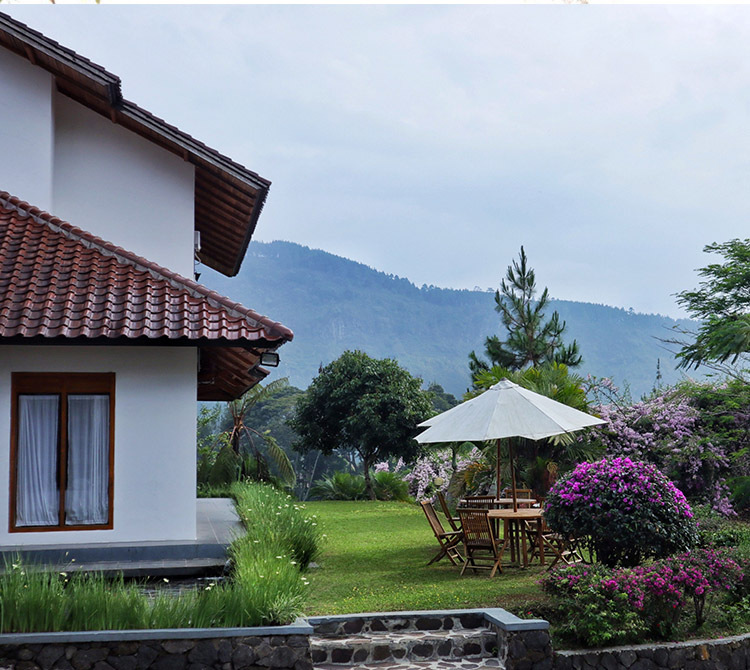 Villa Gede is equipped with cozy fireplace to comforting your body. Well-designed separate building concept for more privacy and luxurious holiday for you and your family. Available for 8 unit cottages equipped with LCD Screen TV’s, Queen or Single Bed, Bathroom and Cooler Box as your amenities.